Shass (Grade: 5/5) While reading this I could not help but thinking back to its movie adaptation. What I truly did enjoy was the whole new depth that is to be found in the book. 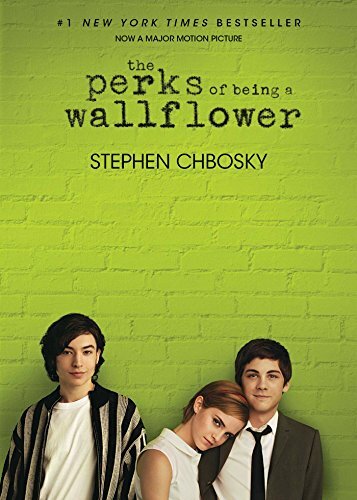 Whereas the movie has an overall happier tone, in the book one can really see and feel how Charlie's mood goes up, down, sideways, just about everywhere. Each letter brings a new set of emotions, one being slow and thoughtful, and the next hectic and short-breathed. A great read. KittyFiend (Grade: 2/5) I read this book in Senior year of high school. I feel like that was a little too late to really be inspired and changed by this book. Everyone I know who has read it says that it really changed their perspective on life. For me it did nothing. The writing, characters, and story all felt very contrived. It felt like the writer just wrote the book to appeal to teenagers that needed to "find themselves". Happy_Cat (Grade: 3/5) Pretty cute, but probably would have been more impactful if I'd read it when I was younger. I read it primarily to get ready to watch the movie. Baximus (Grade: 3/5) An easy but interesting read, with some solid quotes that sets you thinking about the world, if only for a little while. I enjoyed the characterisation of Charlie, and his passive naïveté was a refreshing take on the quiet, observational styled narrator. duhduhkid (Grade: 4/5) A satisfying and very fast read. It has some great life lessons and is very relatable for teens/young adults.